We invite our readers to debate the issues and personalities discussed in articles published by City Mayors. We also welcome suggestions on how our coverage of cities and their people could be improved and extended. Praise us. Criticise us. Write for us. 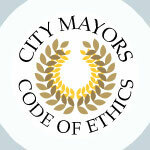 Below we publish a cross-sections of recent and pertinent comments by City Mayors readers. If you wish to join our worldwide dialogue on urban affairs, then please post your views, comments or suggestions using our online form. From Tony, Sydney, Australia: I find it hard to believe that your list would rank Singapore as number 11, while Sydney is way down at number 24. As an IT professional who has lived and worked in both Singapore and Sydney, I would have to disagree with your list. Sydney is way, way more expensive than Singapore (in terms of transportation, groceries, apartment rentals, food, phone bills, internet bills, etc). You might argue it is made up for in wages but the taxes here in Sydney are quite high coupled with high expenses. From Professor H Murakami, Ritsumeikan University, Kyoto, Japan: The result of this reseach is interesting and correspond to my observations and experiences. I am not satisfied that my fovorite city Kyoto (as big as Kobe) is not included. This historical, cultural an high-tech city comes normally among the best five in our domestic similar researches. From David J, Brighton, UK: Read the message boards across the media and there is a hot debate as to how places like Bern and Luxembourg manage to rate more highly than Barcelona or Paris, or why no city from the USA features in the top 30 and - even more controversially - only two Asian cities feature in the top 40. The great difficulty of such surveys is that different people would use different criteria for what constitutes 'Quality of Life'. Although Mercer have gone to great lengths to try to be objective, (and claims that it is objective) the very choice and weighting of criteria is, of itself, a very subjective business. Perhaps the Mercer project might equally be entitled 'the best governed cities', since items like public services, crime and public transportation links rank so highly. Had 'governance' been chosen in the title, I suspect many commentators would have been less worried. Issues such as the ethnic diversity of the city and the climate are critical factors for many people's quality of life (for good or bad). From Mike, Springfield, USA: PricewaterhouseCoopers. You changed your metrics just enough to cause Chicago to drop three slots. You lowered Chicago’s status by at least 30%! What was your purpose in doing this? It is not valid that a change you make in already established criteria should, itself make a change in the rankings and that is what you did. These rankings of the cities are always subjective, in that those responsible for the study decide what criteria and metrics will be the basis for the rankings. One could rank cities on 10 variables, 25 variables or a 100 variables of one‚s choosing which would then produce rankings of the cities in various orders. If you were going to change the rules of your ranking engine you could have changed it in a way which would have left the top five rankings the same as your previous edition. For instance with Chicago, your change in the metrics caused Chicago to drop. What could have been done and IMO should have been done would be to change the metrics so that there was no net effect to the rankings. If your change caused Chicago to drop lower in the rank then you could have added a metric which have negated this effect. Such as add a metric for the total amount of commercial office space in the cities. Then let the established metrics thru time establish the subsequent rankings. IMO, to change the rankings by manipulating the metrics is not valid. Also, it seems to me one could advocate that the entire metropolitan area should be included in the ranking and not just the core city. In many instances a city‚s suburbs, in terms of geographic area, population, GDP and so on are larger and even much larger than the core city. For instance the city had 2 top 500 companies, but the suburbs had an additional 5, shouldn‚t that be included in the tally? From Rene B, Netherlands / Japan: Please take Tokyo off the list of City Mayors Code of Ethics as long as Shintaro Ishihara is mayor. He has a history of making outrageous statements, but his statement about "the divine punishment" was beyond believe. Governor of Tokyo Shintaro Ishihara has proclaimed the recent earthquake and tsunami were divine punishment for the sinful depravity the Japanese people now embody. Shintaro Ishihara also said, "Third-country nations and foreigners who have entered Japan illegally have perpetuated heinous crimes. In the event of a major earthquake, riots could break out, and there is a limit to the police's ability to cope with such a situation alone." He later apologized for this remark which was particularly insensitive in the light that as many as 7,000 Koreans were lynched after they were blamed for looting and setting fires and even causing the Great Tokyo Earthquake in 1923. From DGK, Philadelphia, US: Regarding Tony Favro’s article American cities seek to discover their right size. This is the biggest mistake this country could make since the Urban Renewal debacle of the 1960s. This will kill cities, not revitalize them. The only way that this should be permitted is if there is a complete moratorium on suburban development. Just because a city lost 50% of its population does not mean it should lose 50% of its older buildings. It is not green, it is not revitalization and it makes no economic sense. Old buildings should be reused to accommodate modern uses without hurting their unique historical and architectural features. While many of these cites are losing people new construction is occurring in suburban areas. Cities need to reduce taxes on property owners and businesses and revitalize urban areas with strong historic preservation legislation creating an economic and aesthetic environment that will attract and keep residents. From Rory Clarke, OECD, Paris: I am interested in knowing the definition used for London city and metro zone, and Paris metro zone. It seems to change from year to year. My understanding was that Paris built environment has over 10 million (inner suburbs etc), and that to get over 10 million for London you need to bring in green belts and outlying towns. So not a comparable figure, or am I mistaken? As for Dublin, its tiny administrative centre kicks it off the list, but it’s actual city size (city reality) is close to 1.5 million. From Jerry T, London, UK: Your charter fails to address the issue of competence. Too many politicians in local government use their positions to make a name for themselves and indirectly advance their business interests and careers. They may not dip into the petty cash but by hiding their real reasons for seeking office in local government, they are also acting dishonestly. From Dr. D.A. Simarmata, Jalarta, Indonesia: I am very glad to have such a list of the richest cities in the world. This is very valuable for comparing the cities from each countries, and to make a comparison with its country's economic development. I have seen other lists, and again they are all amazing to be used in development studies between countries, and how their cities are compared from one country to the others. From Afework A., Hawassa, Ethiopia: The article is good. It gave me some insight into the insecurity of the poor especially in relation to crimes. But I want to read more about crime, especially rural crimes in developing countries. I would appreciate if some reading material on the issue could be forwarded for me. From George R., Sao Paulo, Brazil: This article brings to the spotlight something that has long been known, but has always been put under topics like terrorism. That is criminality and the poorer victims. In Rio de Janeiro, the populations in the slums are put under the thumb of the drug lords, covering for them under threats. Actual law offers no protection in such places. In São Paulo, not long ago, a maniac was preying on poor children around the slums. It is obvious that crime damages mostly the defenceless, and because of that this issue deserves more attention. It's happening around the entire world, as I'm sure there are such stories out there; criminality against the poor must receive due attention soon, mostly in Africa, as they will be mostly urban by 2030, and by then crime will be a major issue there. From Sulaiman T., Douala, Cameroon: African governments need to put priorities straight for rural-urban migration. Crime rates are increasing daily and cities are becoming hell on earth. Urban poor are targets of these social risk and vulnerability myths. From Michael K, USA: I read with a great deal of interest Mr. Favro's article on the City Mayors about looming North American water shortages and problems associated with diversion of water out the Great Lakes. Mr. Favro is justifiably concerned about future inter-governmental wrangling over a dwindling resource, i.e. Great Lakes fresh water. I share his concern. There is no question that the current laws, treaties and the especially the jurisdiction of the International Joint Commission ( which was defined almost a 100 years ago, before the kinds of water shortages we are facing today were contemplated) are not adequate to deal with the looming water shortages. In the face of such legislative and jurisdictional inadequacies and impasses the importance of and need for people like David Ullrich and the Great Lakes and St. Lawrence Cities Initiative is obvious. As I read his article, Mr. Favro sees a future in which more and more people and more and more governments are squabbling over less and less water. He seems to see nothing but doom and gloom. I would share Mr. Favro's negative view of the future of Great Lake fresh water if I did not know that there exists a credible proposal to replenish the Great Lakes with enormous amounts of fresh water that are currently lost to Hudson/James Bay. This can be done without diverting any water away from any existing uses or users. The proposal is called the GRAND Canal of North America or the GNAC and the designer is an engineer by the name of Thomas Kierans.